March 16, 2016 B-Line Construction has completed five separate construction projects for us, and we could not be more pleased with their performance, professionalism and results. Having worked in the construction field, as an Architect, for more than 40 years with hundreds of contractors and sub-contractors, I can highly recommend Don and Dana Wolliscroft and their company, B-Line Construction, Inc. for excavation, septic, and residential building construction. 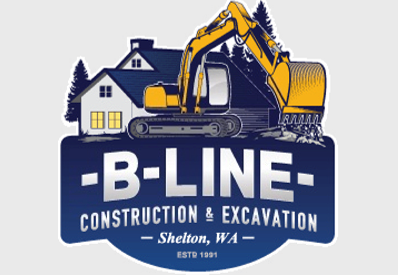 B-Line and their crew have completed a major driveway excavation, wood frame building remodel, wood fence construction and major septic system maintenance for us over the past four years. 2. Don schedules each project and checks on projects during construction. 3. Employees are all capable, skilled and hard working individuals. 4. Projects started and completed on time. 5. B-Line owns and uses quality, well maintained equipment. 6. The completed projects are high quality. 7. B-Line is a well organized company. We live in rural Mason County where, because of the low population, there are few contractors, and fewer competent contractors. 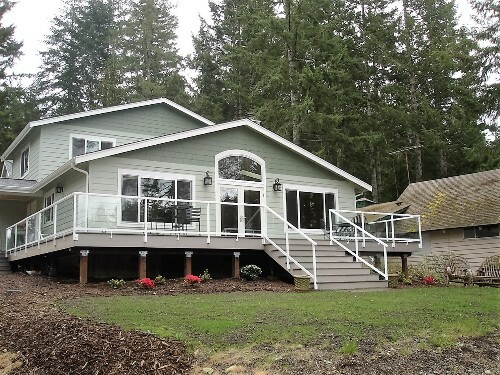 We are very fortunate that Don and Dana have decided to build their business here locally, because our experience has been that B-Line Construction performs with any of the best contractors in Washington State.